When you cross the finish line of the K2M, whether you’ve done the mountain bike ride or one of the runs, you will have accomplished something very special. Crafted by myself, Ray Boardman PGDipSportsMed, PGDipRehab, PGCertSc (Exercise Science), BSc (Anatomy), DipSportsStudies this plan encapsulates my passion for the sport, my experience from completing dozens of cycling events and my success coaching hundreds of cyclists, runners and triathletes. The plans are all FREE, but you can upgrade your plan to Subscribe and join the Qwik Kiwi Tribe for only $47 / month. You will then be able to take advantage of regular contact with me and seek advice and guidance about your programme. All these training plans start on Monday 07 January 2019 and finish on race day. Designed for Beginner runners who are looking to complete their first half marathon event, the primary goal of this training plan is to prepare you to COMPLETE the K2M Half Marathon. Starting 12 weeks before the K2M Half Marathon (on 04-Mar-19), this plan progresses through phases to build you to your peak performance. Each week typically contains 3 runs and a flexibility session. Although not compulsory, I recommend using a GPS watch with heart rate monitor in conjunction with perceived effort. Prior to using this plan, you should be able to run for a minimum of 30 minutes. Designed for Intermediate runners who are looking to complete their half marathon faster, the primary goal of this training plan is to prepare you to COMPLETE the K2M Half Marathon as FAST as possible. Starting 12 weeks before the K2M Half Marathon (on 04-Mar-19), this plan progresses through phases to build you to your peak performance. Each week typically contains 3-4 runs (3 at the start of the programme moving to 4 towards the end of the programme) and 2 flexibility sessions. Although not compulsory, I recommend using a GPS watch with heart rate monitor in conjunction with perceived effort. Prior to using this plan, you should be able to run for a minimum of 90 minutes. 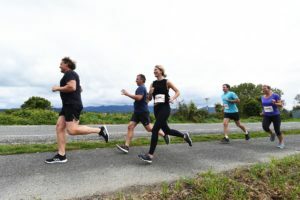 Designed for Walkers who are looking to complete their first half marathon event, the primary goal of this training plan is to prepare you to COMPLETE the K2M Half Marathon. Starting 12 weeks before the K2M Half Marathon (on 04-Mar-19), this plan progresses through phases to build you to your peak performance. Each week typically contains 3 walks and a flexibility session. Although not compulsory, I recommend using a GPS watch with heart rate monitor in conjunction with perceived effort. Prior to using this plan, you should be able to walk for a minimum of 90 minutes. Designed for Intermediate runners who are looking to complete their marathon event with their best result possible. The primary goal of this training plan is to prepare you to COMPLETE the K2M Marathon as FAST as possible. 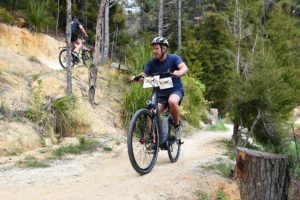 Designed for Beginner and Recreational riders who are looking to complete the ride from Kaiteriteri to Mapua, the primary goal of this training plan is to prepare you to COMPLETE the 42km K2M Mountain Bike Ride. 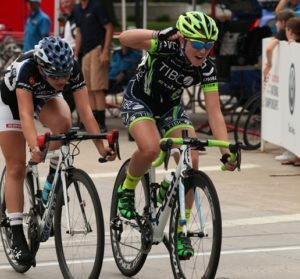 Starting 12 weeks before the K2M Mountain Bike Ride (on 04-Mar-19), this plan progresses through phases to build you to your peak performance. Each week typically contains 3 bike rides. You will build up to 2:30 hrs riding. Although not compulsory, I recommend using a GPS watch with heart rate monitor in conjunction with perceived effort. Prior to using this plan, you should be able to ride for a minimum of 30-40 minutes.